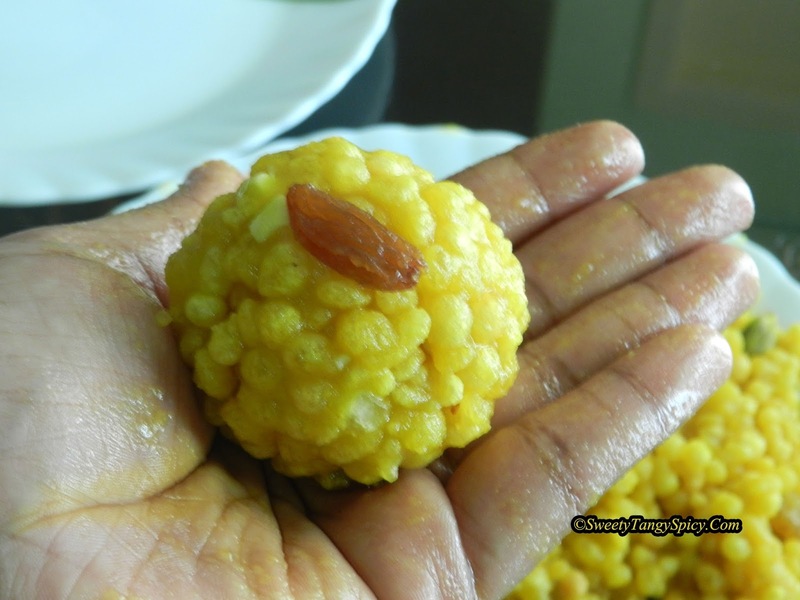 This post is about the boondi laddu which is commonly known as laddu in kerala. The name boondi ladoo is because the batter is poured through a perforated ladle and will get in the form of droplets while frying. These fried droplets are called boondies. The boondi laddus are of two types, the soft textured one and the hard textured one. 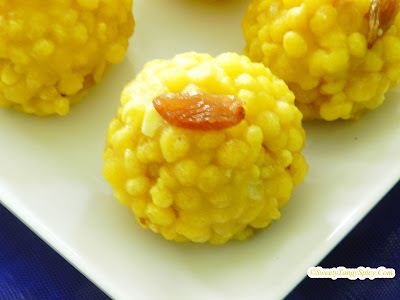 To prepare hard textured laddu, make the boondi more crisp and the sugar syrup more thicker. Here I am explaining the soft textured ladoos. This is boondi ladle. To prepare perfect boondies, we need this one. If we make boondies with usual perforated ladle, will not get perfect round shaped boondies. 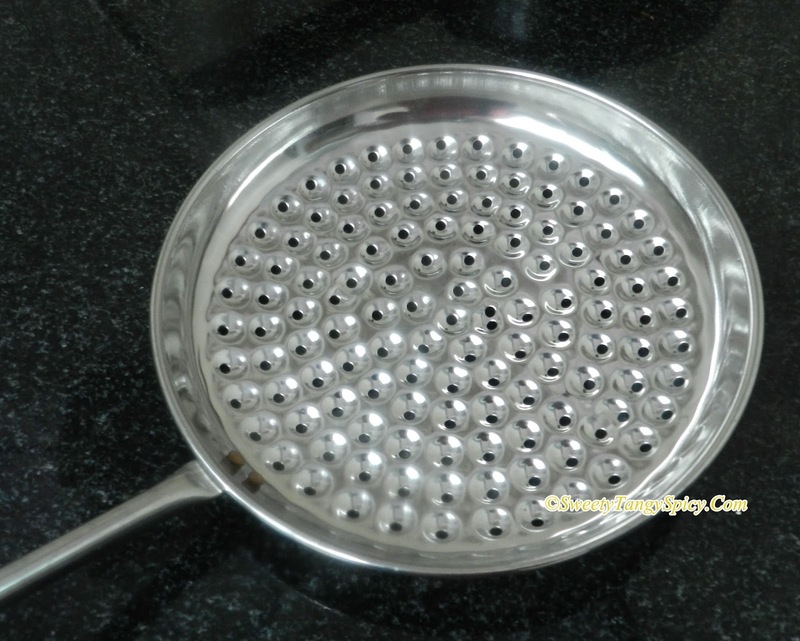 Anyway, if you don't have boondi ladle, go with normal perforated ladle. 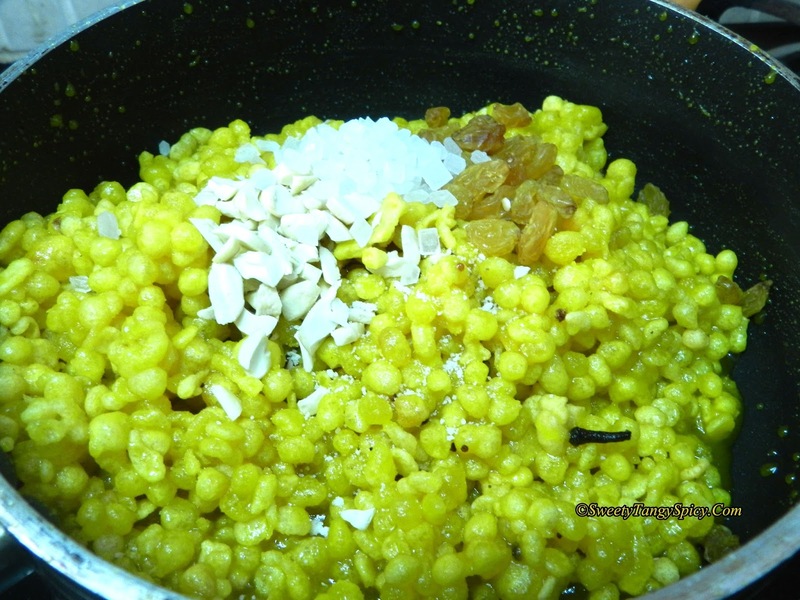 Other important thing for perfect shaped boondi, is the consistency of batter. 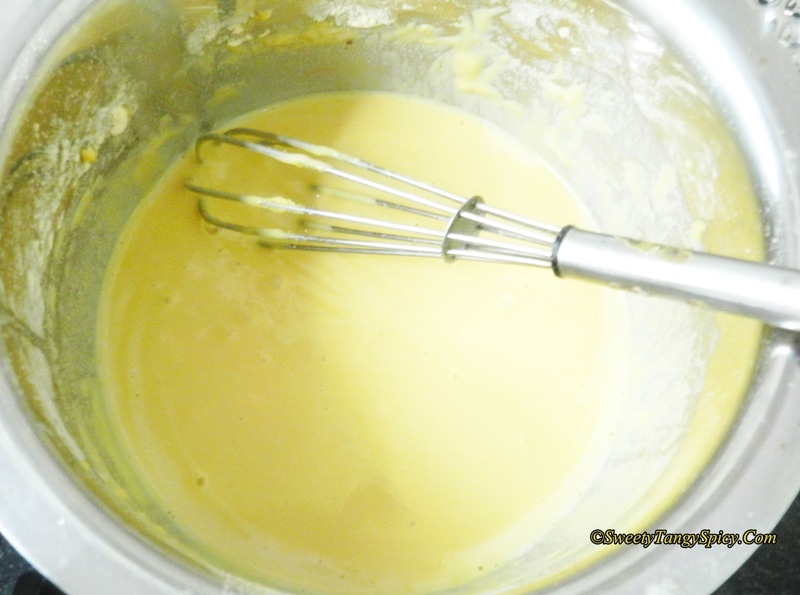 Once you prepare the batter, check the consistency by frying a few drops. 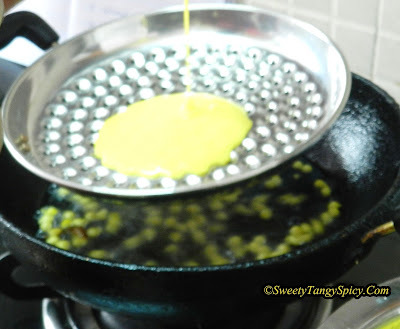 Tap the hand whisk or handle of the spoon with batter at the rim of the kadai with hot oil. If it comes flat, then the batter is thin, if it comes with tail ends, the batter is thick. If thick, add water. 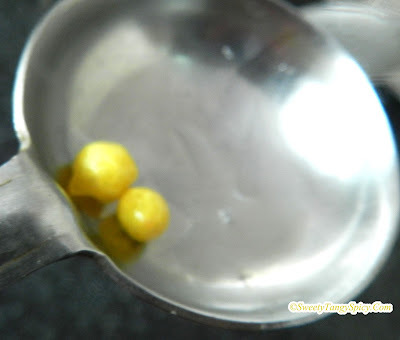 If thin, then add a bit of gram flour and do the same test. Shape is not that much important, but still try for perfection. After each batch, the back side of the boondi ladle should be wiped with a clean cloth or tissue paper, in order to avoid tail ends. Next, about sugar syrup, consistency of the sugar syrup determines the texture of the ladoo. The consistency is measured in terms of strings. Here we need one- thread consistency. To check this, dip a spoon in the sugar syrup and take it out. Then touch the syrup with your forefinger and then touch your forefinger and thumb finger together and pull apart gently. If a narrow thread of sugar syrup appears between your fingers and does not break, you reached the one thread consistency. The syrup will have a honey like consistency and you will experience more heat on fingers. Immediately switch off the stove. 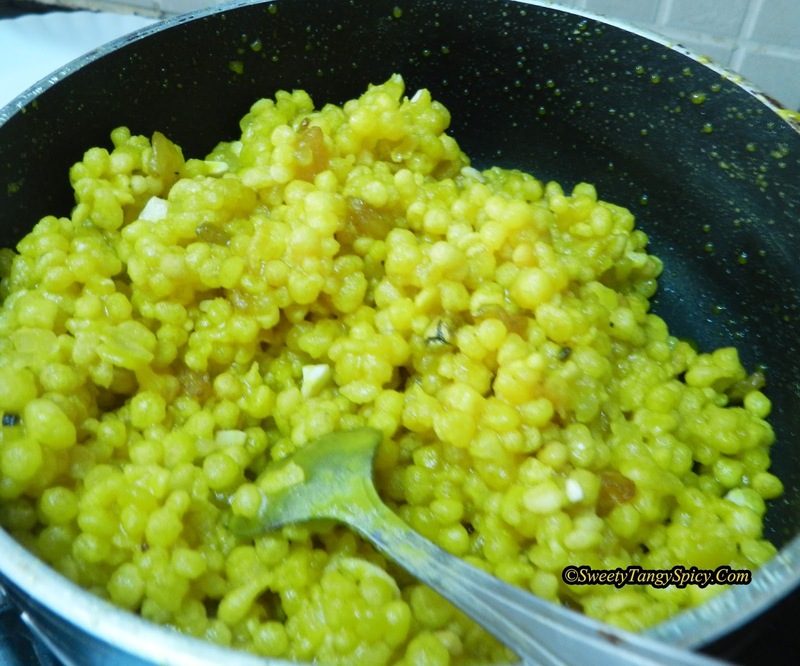 I think, I have given enough introduction to boondi. I tried it many times, finally I got the texture which i want. I hope, you will also enjoy..
First step is the preparation of boondi batter. For that sieve gram flour (kadala maavu / besan) and cooking soda in a sifter. 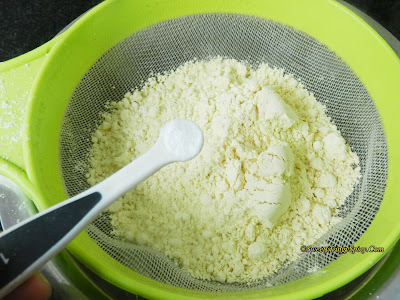 Add water little at a time, and make a smooth batter with continuous stirring, take care to avoid the formation of lumps. 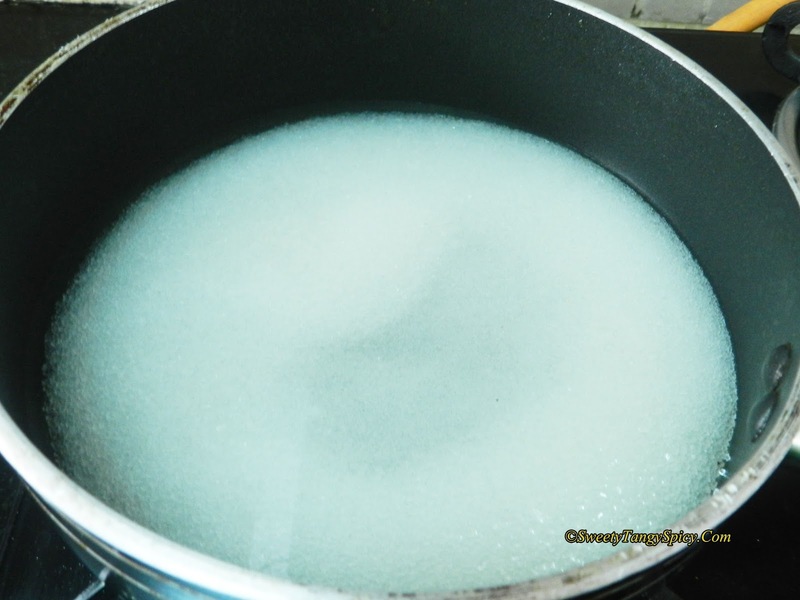 Take 1 cup of sugar and ¾ of cup water in a pan. When the sugar melts completely, add cardamom and cloves. 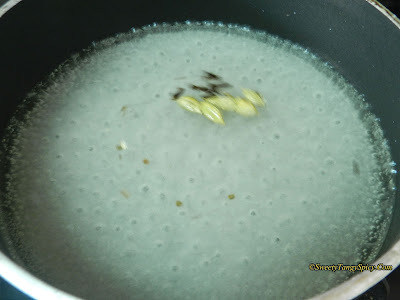 Keep boiling on medium-high heat until it attains one thread consistency. 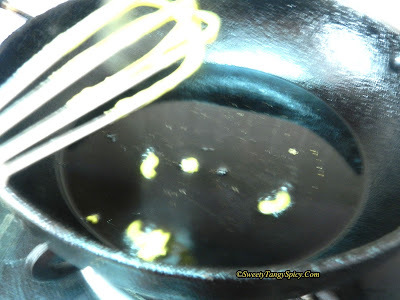 To check one-thread consistency, dip a spatula in the sugar syrup and take it out. 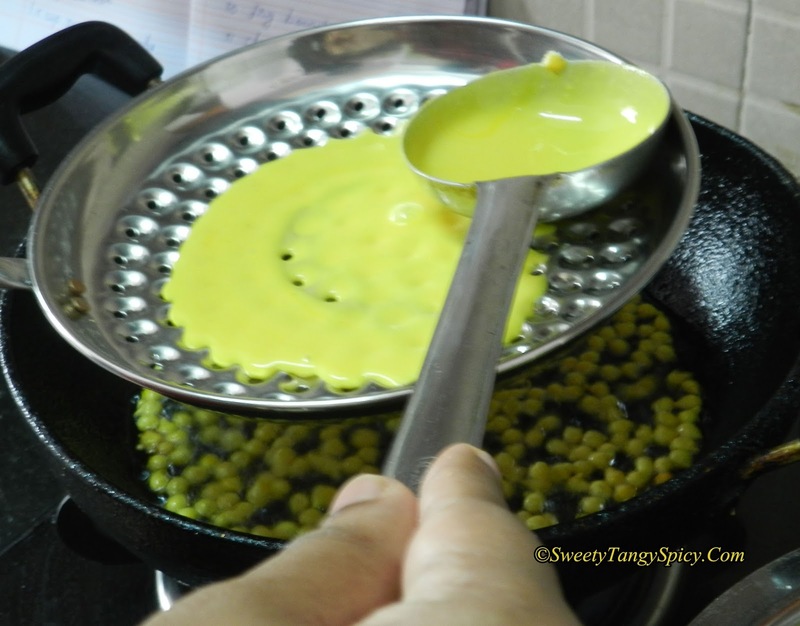 Then touch the syrup with your forefinger and then touch your forefinger and thumb together and pull apart gently. If a narrow thread of sugar syrup appears between your fingers and does not break, you reached the one thread consistency. See the photo. The syrup will have a honey like consistency. Immediately switch off the stove. Keep the syrup hot all the time, add yellow food colour. Mix well. 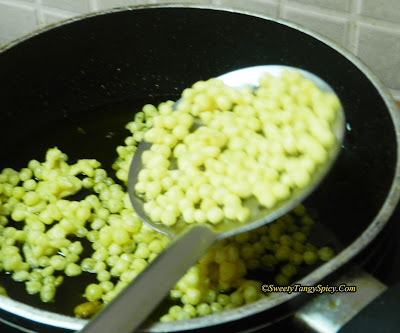 Now we will prepare boondi, heat oil in a kadai, when it is hot enough, hold the boondi ladle or any perforated ladle a few centimeters above the kadai. Take a spoonful of batter and pour over the boondi ladle. The batter will fall down itself. 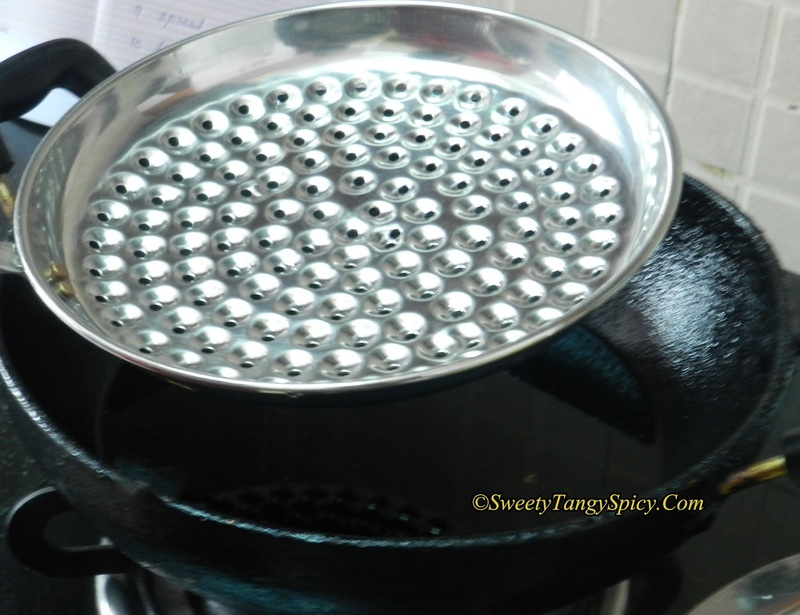 For quicker process tap it at the rim of the kadai or rotate the spoon over it as we do while making dosa. 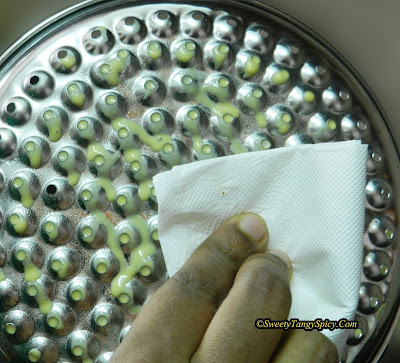 Remove the cooked boondies, don’t make it crispy and colour change is not necessary. The only thing is that boondis should be cooked. Transfer directly in the sugar syrup and mix well. Do the same with remaining batter. After each batch, don't forget to wipe the ladle. Add edible camphor, chopped cashews and raisins. Mix well. Let it cool slightly. 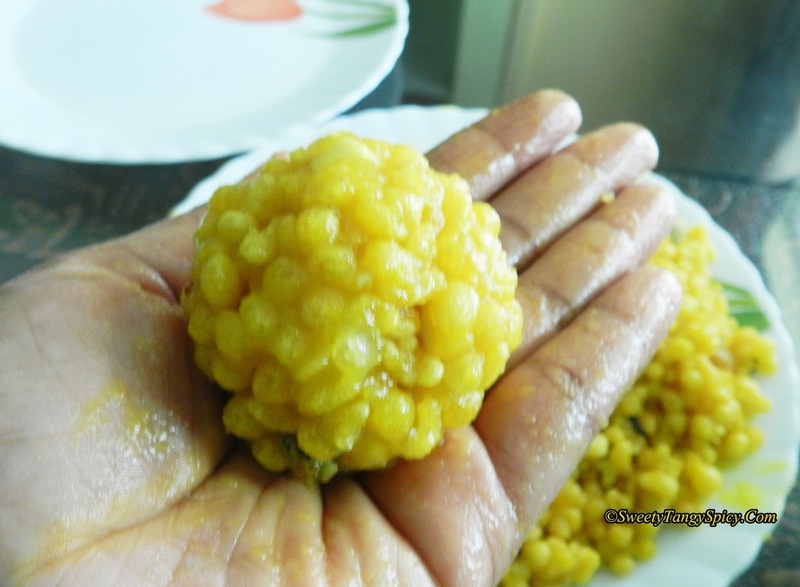 Take a handful of boondis and make small lemon sized balls out of it. The boondis should be still hot. 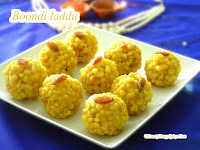 The ladoo is now ready. It will be soft and gradually became harder as the time goes. Swift gram flour and cooking soda in a sifter. Add enough water and make a semi-thick batter. Keep aside. Prepare sugar syrup by boiling 1.5 cups of sugar and 1 cup water. 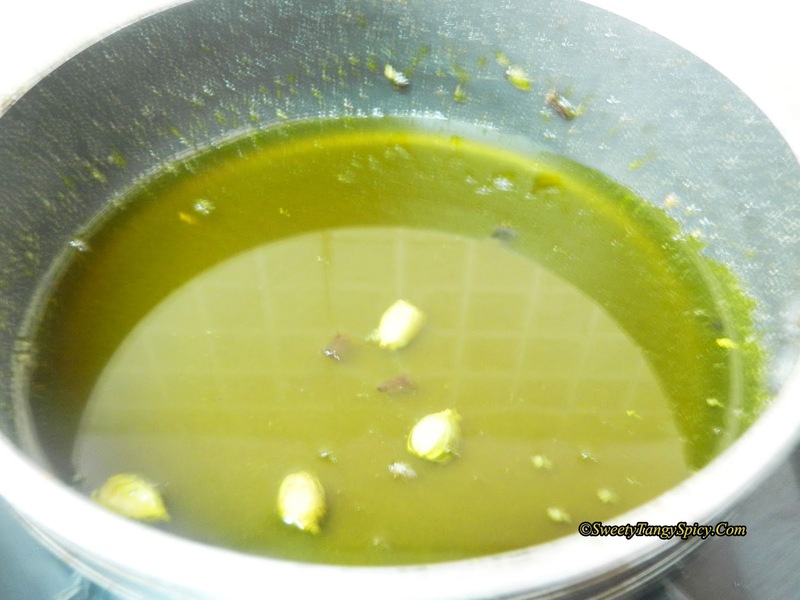 Heat oil in a Kadai, test consistency of batter by frying few drops, add a bit of water or flour if necessary as per condition. Keep boondi ladle about a few centimeters above the pan. Pour batter on it and fry boondies in batches. When cooked, remove from oil and transfer directly into the sugar syrup and mix well. Add sugar candies, broken cashews, raisins and powdered edible camphor, mix again. When it is cool enough to touch, make small ball by pressing between your palm. 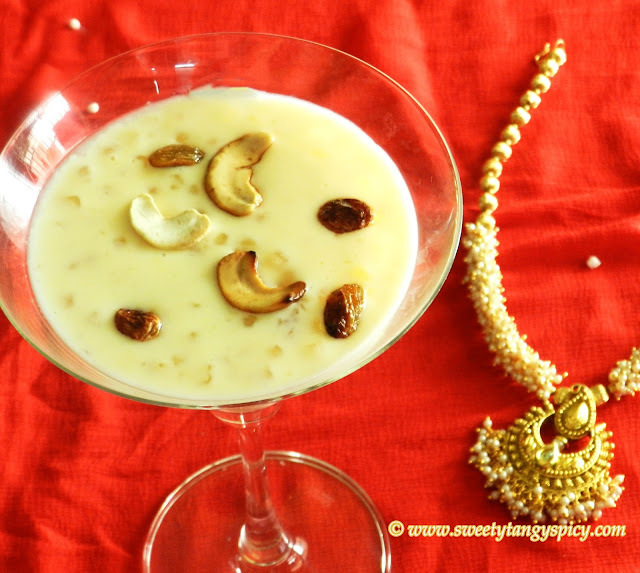 Garnish with raisins or kismis. 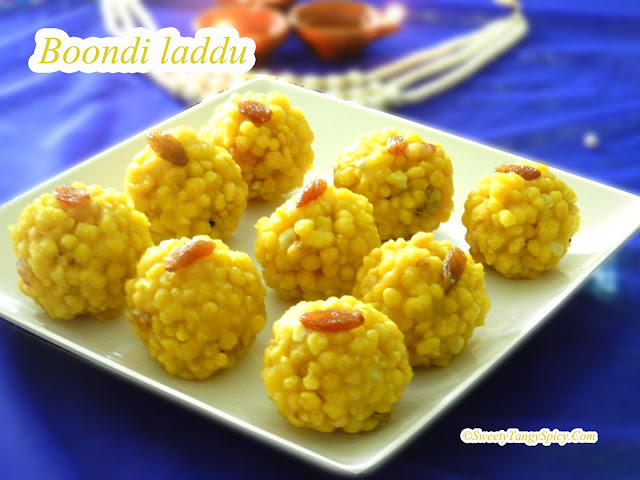 The boondi ladoo is ready. Store in air-tight containers. Try to get round boondies by adjusting the batter consistency. 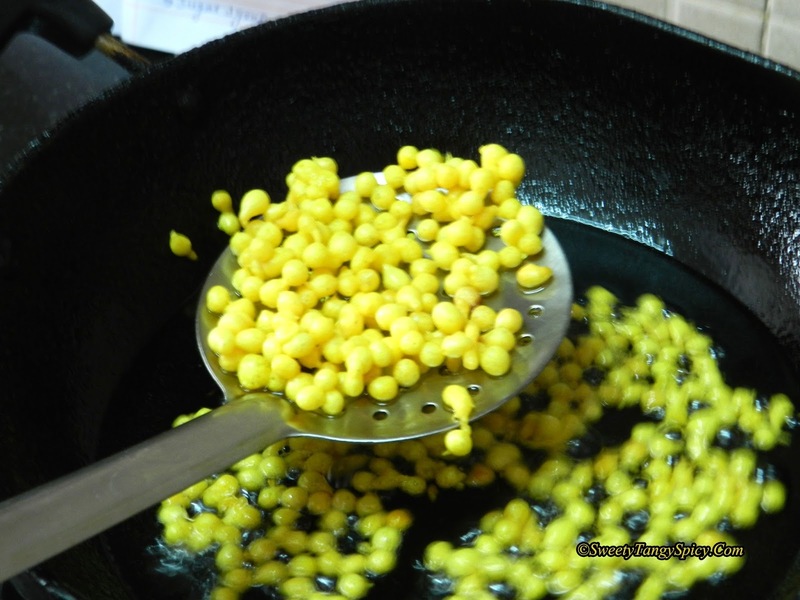 You can check by frying few boondis, if it comes with tail ends, the batter is thick, add more water and if it comes flat, the batter is thin. Then add more flour. Consistency of batter is very important to get round boondies. Once you attain the one-thread consistency, or when the sugar looks like honey then immediately switch off the stove. From that point the stages changes quickly. If the sugar crystallizes and if the boondis become dry, heat the mixture again till the sugar melt. Then you can roll the ladoos easily.